In New Jersey and Pennsylvania, you may have seen moisture seeping into you or your neighbor’s home through the foundation or basement. Moisture seeps through cracks and a wet basement can destroy any valuable furnishings or materials left in storage. You may already know that you need a basement waterproofing company to help you – but you may wonder, why does this happen? It’s usual in construction to dig a hole for the foundation larger that it needs to be. That extra space is filled with “back-fill” – soil that’s been removed and then replaced as part of construction. This soil can never be as hard-packed as the un-excavated, original soil surrounding it. It’s looser, more porous, and a great deal more water absorbent. Additionally, a few foundations rest on natural bedrock that is directing water to springs and other water sources. If your foundation stands in the way of the natural track of this water, it’s going to build up against the foundation. To make matters worse, as the earth around the house settles, it begins to settle and pack lower than the original earth. As the water courses downhill into this lower basin, it pools and absorbs into the dirt around the foundation, causing you to have a leaky basement. It’s no surprise that when it rains, water collects more in the immediate area around your foundation. Since you’ve put a house in this hole, it’s no different. The water in this basin is going to try to go anywhere possible, seeping through any opening or crack that is available. If basement wall cracks which were formed during construction go all the way through your wall, it’s inevitable that water will find its way through as well. As water continues using these cracks, they will get larger through erosion and natural expansion and contraction. 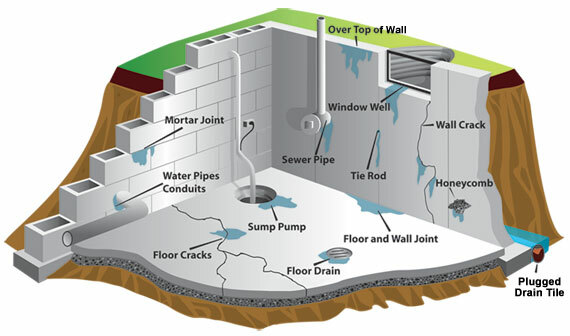 Pure Service Pro offers several systems to help deal with all types of basement leaks. 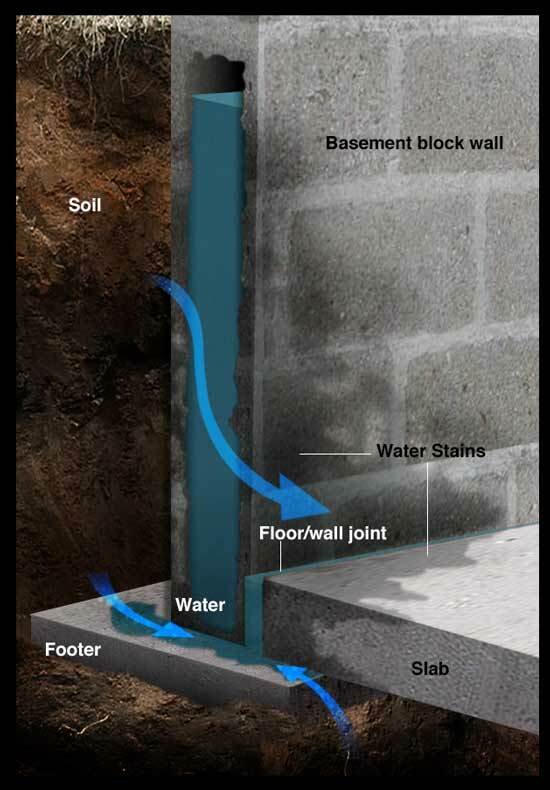 Our basement waterproofing systems combine hard work and state-of-the-art technology. Contact us for a free inspection and estimate – either on your existing home, or any planned construction. The beautiful beaches and desirable climate of New Jersey might lead you with the problem of water damage. At the time of water damage, local homeowners also face the problems of musty and wet basements which lead to moisture growth and health problems entering their space. It is never wise to handle things on your own. What makes a better sense here is to turn to the West Orange Basement Waterproofing Services provider. Why to Count on Pure Service Pro? We offer full-service repair and installation of interior and exterior systems to protect your home foundation. If you are finding cracks and crumbling sections within your foundation, our team will get the best solution for you and do a lasting job at affordable rates. Ensure that your crawl space is free, your basements are waterproofed, interior, exterior and most important your basement floor cracks are properly repaired. We aim to deliver exceptional performance and reliability by practicing different services and systems to keep your home dry and protected.